Boston is a diverse city full of people in many walks of life. But what brings us together (other than our championship rich professional teams) is our love for beer! From the pubs and dives, to the light beer sports bars, to the craft beer bars and beyond, there’s nothing like getting a beer with a Bostonian. But what better way to get to know our beer culture than to visit the breweries where it’s made? We’re going to delve into the brewery scene over the next few months, so keep your eyes peeled for future posts on the topic! For this entry, I wanted to focus on two of my favorite breweries (and two of the most famous) Sam Adams and Harpoon! Located a short way outside the city center along the subway orange line, you get a taste of the humble beginnings of The Boston Beer Company. Unlike many of the breweries you may encounter around the country,Sam Adams’ Boston brewery is no longer a full-scale production facility. 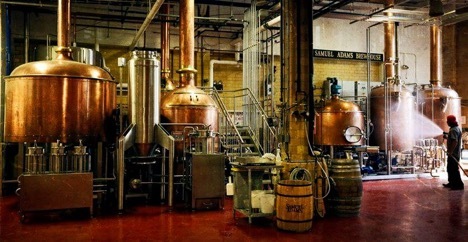 Rather, the original brewery location has evolved into their test facility, whereas the mass production is done at their two facilities in Cincinnati, OH and Lehigh Valley, PA. This allows for a more down to earth charm to the experience. It also allows you the opportunity to try new beers they are working on that have yet to hit the shelves! Tours run every 40 minutes and last around an hour. They end with everyone’s favorite part: The Tasting. There are two tasting rooms (one with long narrow tables, the other with multiple round tables). You get to taste 3 beers (full sample pours, typically Boston Lager, the current seasonal, and a choice of some beers they are currently developing) and are walked through the official beer appraisal process. Pro Tip: In the tasting rooms, sit as far from the taps as you can. They fill pitchers with beer and pass them down the tables. If you are at the end of the table and have extra beer in your pitcher, you don’t have to pass it back forward. Located deep in the up-and-coming Seaport District, Harpoon Brewery was officially the first licensed brewery in Massachusetts under the new laws and holds brewing permit #001. 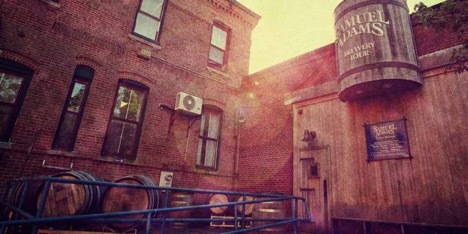 Operating as one of their two full production facilities (the other is in Windsor, VT), the Boston brewery is still in its original warehouse location, they have just expanded quite a bit over the years. During the tour you get to experience the classic catwalk experience of a full-scale facility. Their tasting is halfway through the tour and allows you to taste several different beers (basically anything that is currently in production as well as a couple special pours you can only get at the brewery) in rapid fire fashion with smaller tasting pours. While the tour is exciting, my favorite part of the Harpoon Brewery is their newly renovated beer hall. Long tables reminiscent of the classic beer halls in Germany allow for a great gathering point after and before your tour. Here you can try any beer they make as well as seasonal and small release varietals. Sacred above all else, however, are their famous pretzels. Forged from the spent grains of the brewing process, there are three varieties that can be paired with your choice of two sauces (from a selection of eight). My personal go-to is the Original salted with IPA Cheese and Bacon Ranch sauces. Come hungry. Harpoon is also known for their various festivals throughout the year; St. Patricks Day, Oktoberfest, and most famously HarpoonFest. 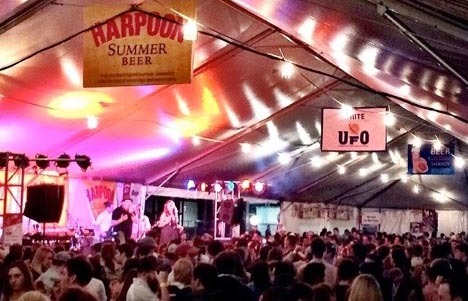 Hosting live music, games, and a multitude of food trucks, HarpoonFest is one of the best parties in the city, and it’s coming up this weekend! If your love of beer is not yet satiated, look no further than our very own Irish Pub, Sólás! Boasting a strong beer selection, Sólás extends their love of beer into their menu as well! They have their own version of pretzels and IPA beer cheese (made with Harpoon IPA) that you can compare to the brewery’s own offering, beer battered chicken tenders and fish n’ chips, and of course their famous Guinness onion soup (perfect for this time of year).